Full disclosure: I have a serious problem disconnecting from work when I am on vacation...a serious problem! I am an attorney, and I answer not only to my bosses, but also my clients. As such, I have been known to check and respond to emails, and take calls while on vacation, simply because I am worried that I am going to miss something. I call it professional FOMO! The good thing is that I recognize that I have a problem. I also know that many of you suffer from the same affliction...just go ahead and admit it! Because admitting it is the first step in addressing the issue. 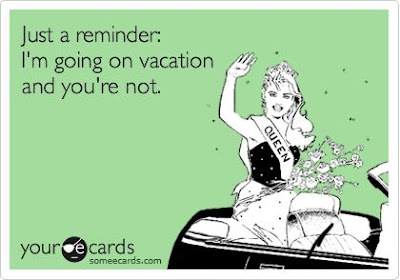 So, how do you successfully go on a work-free vacation? I have a few suggestions that I have been implementing (kind of) over the past few years. My method: (1) Plan ahead; (2) Check Twice; and (3) Acknowledge, Reaffirm, and Reassure. 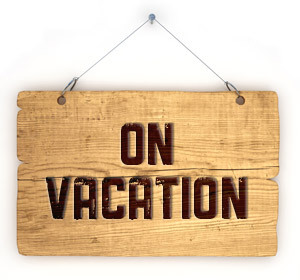 Please note that I will be on vacation starting Friday, June 23, 2017. I will return to the office on Monday, July 3, 2017. I will have limited access to my cell phone and email during this time. If you need immediate assistance, please contact Helpful Colleague at hcolleague@mail.com or (222) 222-222. Thanks! You should send a reminder email two days before you are scheduled to go on vacation, and also set up an automatic reply in your email system. Your automatic reply should reinforce when you will be out of the office, and include your "in case you need assistance while I am out of the office" person's contact information. The point of all of this is to make your colleagues aware of your impending absence, and allow them ample time to plan around your absence. It also allows them to address any pressing issues that require your input before you leave. 2. Check Twice - If you are anything like me, you still feel obligated to check your email even when you've planned ahead. We can't help ourselves! My suggestion is to check your email at the start of the work day, and at the end of the work day...that's it! Now, the only reason I am advocating this periodic break from vacation is because I am well aware of how difficult it is to enjoy yourself when you think something may be going on in the office. FOMO is so crippling! So just check your messages twice, and move on. Fight the urge to go grab your laptop and start working on something. Don't do it! I understand that you need assistance preparing a basking weaving memo. 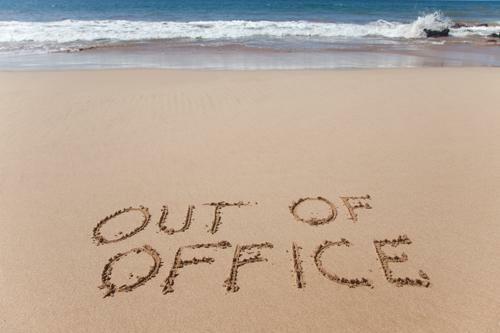 I am currently on vacation, but I am happy to help you out when I return on Monday, July 3rd. If you need immediate assistance, please feel free to reach out to Helpful Colleague at hcolleague@mail.com or (222) 222-222. Have a great day! And that's how you do it! Again, I am guilty of working while vacationing. I am, however, actively addressing this affliction, and working on ways to distance myself from the office so that I can decompress and enjoy my vacation. After all, what is the point of planning a trip so that you can take a break from working if you're going to be working while taking a break. Have a great week Divas!